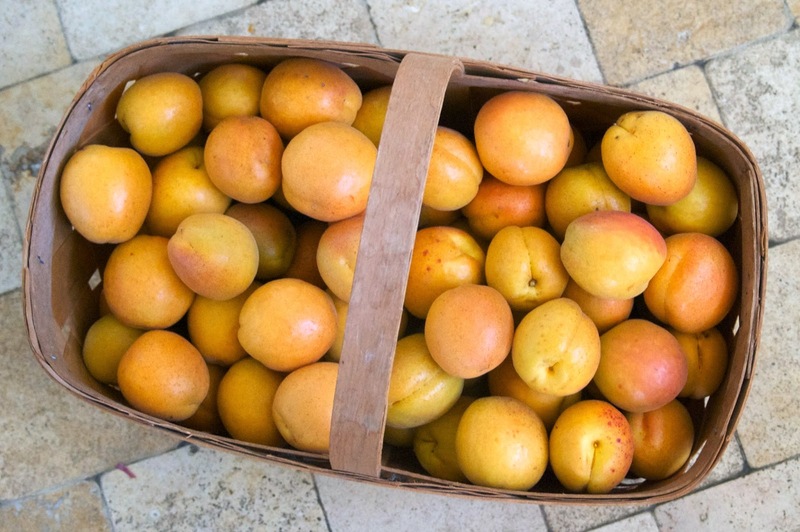 June is my favorite month in the garden because it means we get to eat these amazing, giant, juicy apricots. They're our favorite thing that we grow and we can barely wait for them to ripen. 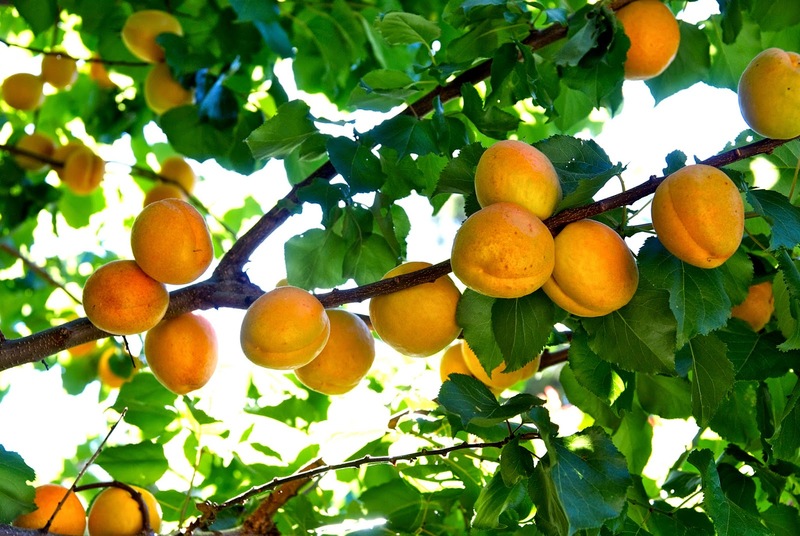 This is the largest crop of apricots we've ever had, I guessing that we will harvest at least 100 pounds. I picked a second basket this morning and Mr RK weighed it out at 22 lbs. We've been eating apricots morning, noon and night. 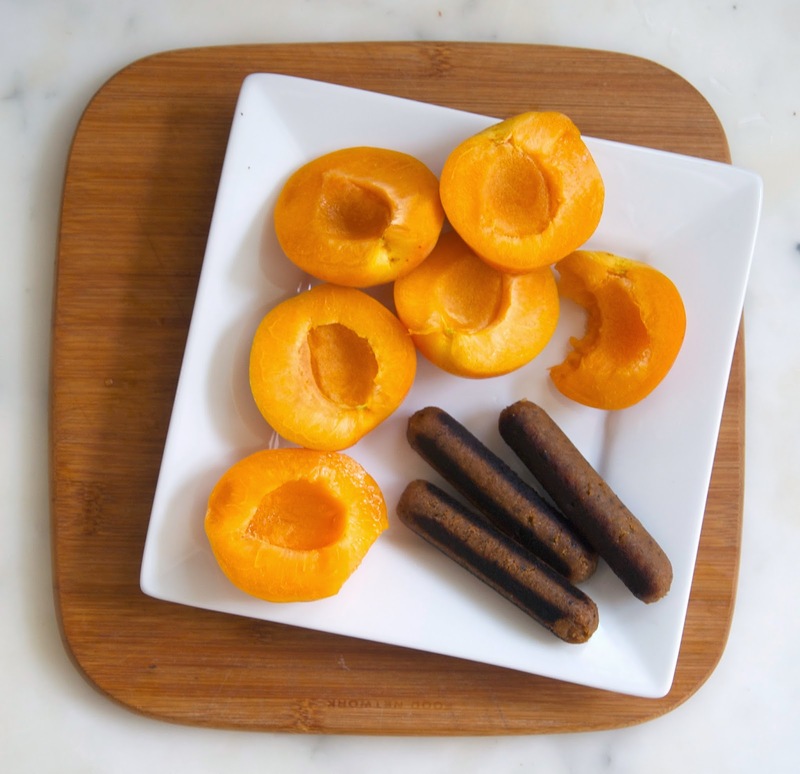 My new favorite breakfast is apricots and Field Roast breakfast sausages. I've been taking bags of them to work to share at lunch time and I've even adapted my Orange Pistachio Quinoa Salad, replacing the oranges with apricots, for dinner. What we aren't eating, we're drying or freezing. 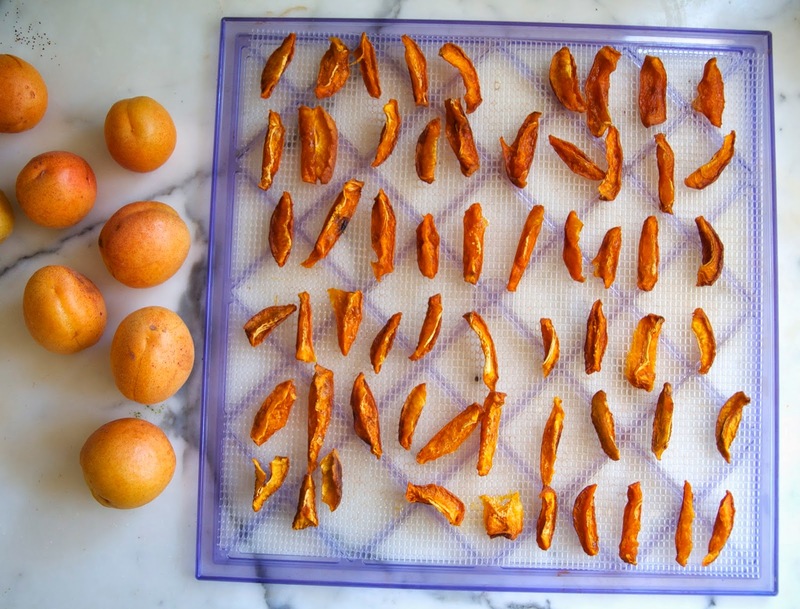 The dried apricots are amazing. Drying them intensifies the flavor. I dried them at 120 in a dehydrator for 24 hours. It's the perfect use for windfalls, and overly ripe and bruised fruit. I love that we'll have a freezer full of frozen apricots for cobblers and smoothies this winter. The next projects are fruit leather and apricot bars.